In the days before the artist Robert Indiana died last May at 89, two of his close associates were brainstorming just what sort of art might be sold under the Indiana brand during his last years. 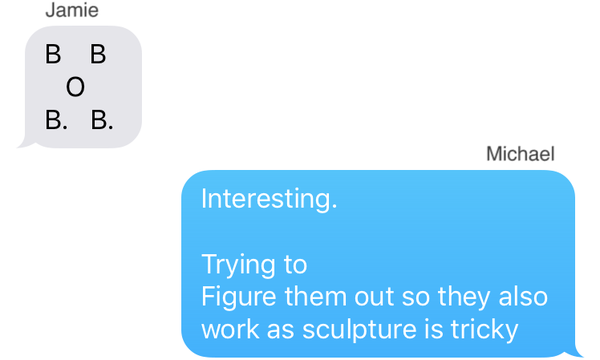 Maybe people, they wondered, who had enjoyed Mr. Indiana’s iconic sculpture LOVE, with its jaunty, tilted O, would appreciate similar works also based on short words. What about JOY, one of them proposed in a text message to the other. Or FUN USA? Why not BEER, or perhaps BREW, or even BOB. There were markets to explore. 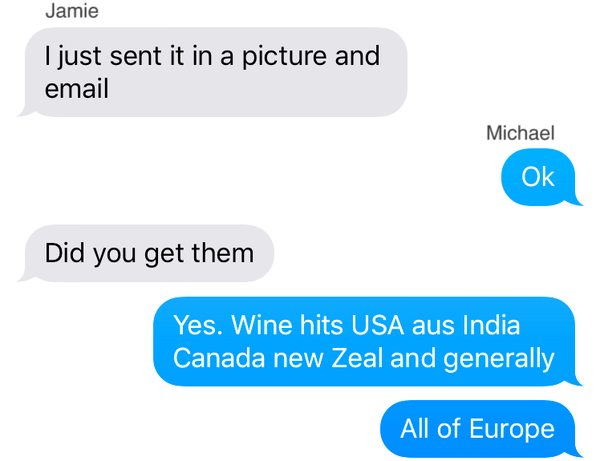 “VINO seems to be the biggest that would be the wine drinkers,” Mr. Indiana’s caretaker, Jamie L. Thomas, wrote in one of the text messages to Mr. Indiana’s New York art publisher, Michael McKenzie. 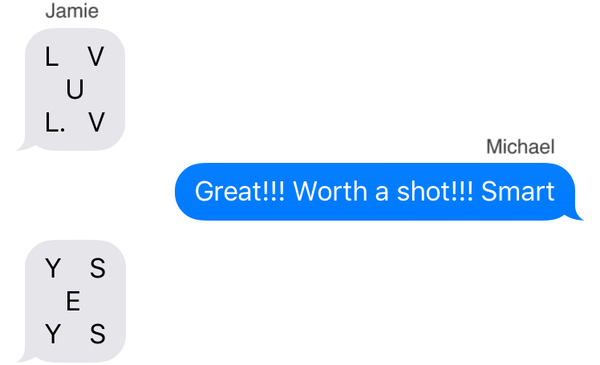 “Worth a shot,” Mr. McKenzie responded. To what extent Mr. Indiana participated in these discussions, if at all, is now part of a continuing dispute in federal court in Manhattan, where the company that has the rights to create and sell works based off the LOVE design has sued the two men. The company, Morgan Art Foundation, a for-profit entity, has accused the pair of taking advantage of Mr. Indiana’s advanced age and isolation on a remote island off the coast of Maine to produce a bunch of inauthentic works that they sold under Mr. Indiana’s name. 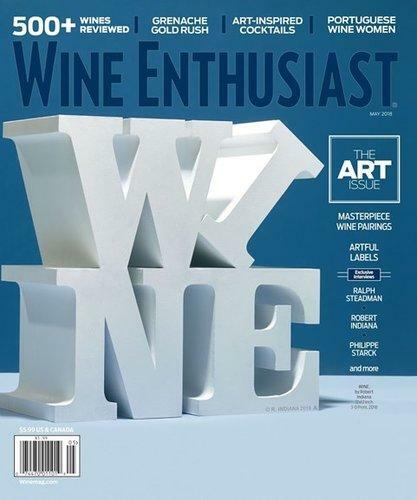 The sculpture “WINE,” credited to Mr. Indiana, was featured on a magazine cover and accompanied by an interview. The Morgan company, which says bogus works damage Mr. Indiana’s market and reputation, has previously challenged the authenticity of several works, including BRAT, a huge sculpture and homage to bratwurst that Mr. McKenzie sold to a Wisconsin sausage maker. 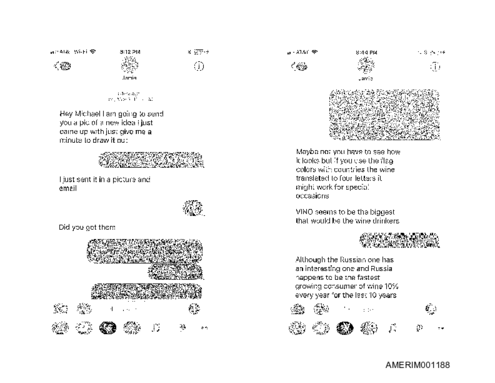 Now, as part of the lawsuit it filed earlier this year, the company got access to days and days of private text messages between Mr. Thomas and Mr. McKenzie, in which the two men, the company says, seem to be inventing ideas independent of the artist. 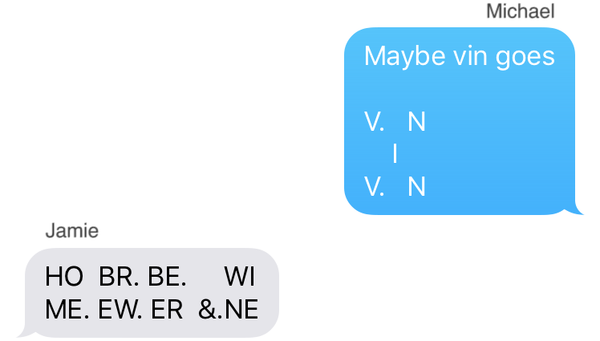 “Hey Michael I am going to send you a pic of a new idea I just came up with just give me a minute to draw it out,” Mr. Thomas wrote in a message on May 1. “Awesome can’t wait to see it,” Mr. McKenzie replied. Over the course of the next week or so, the two men went on to propose a succession of ideas for works in the style Mr. Indiana was known for — letters offset to make sculptural forms — and they discuss different themes, colors and potential markets. Mr. McKenzie said in an interview that Mr. Indiana shared in any proceeds from works Mr. McKenzie had a hand in and that he believes the artist had signed off on all the ideas. Even if he had not, Mr. McKenzie said, Mr. Thomas, who held power of attorney for Mr. Indiana, fully understood the artist’s wishes and had the authority to act on his behalf. Certainly the use of assistants in the creative process is not new to the art world, where major figures like Damien Hirst and Jeff Koons have outsourced the nitty-gritty of production to a bevy of assistants. In those cases, the artists have said that they conceived the ideas and lent a final imprimatur to the completed work. The text messages suggest a wider gulf in which Mr. Indiana may not have been fully aware of the art being designed under his name. “Can bob still speak on this or is he out of it,” Mr. McKenzie asks at one point. It is also clear, though, from the messages that the men were scanning Mr. Indiana’s notebooks for inspiration, with the intent of trying to produce works based on old ideas that were in line with his aesthetic spirit. For example, Mr. Thomas sent Mr. McKenzie a photograph of a page from an Indiana notebook from 1969 that included scribbled ideas for works like “Hole” and “Soul.” Mr. Thomas indicates that he had spoken to the artist about whether he had ever made a “Soul” work. 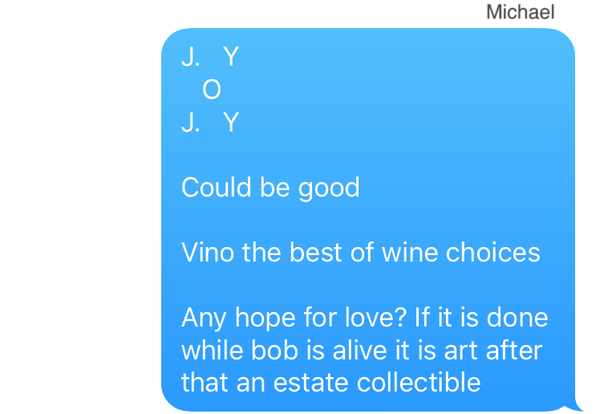 In addition to the BRAT sculpture, other works whose authorship by Mr. Indiana have been questioned are a set of works that display the lyrics of Bob Dylan and a sculpture, WINE, that was created and used for a magazine cover. In the case of BRAT, James Brannan, Mr. Indiana’s former lawyer who is the executor of Mr. Indiana’s estate, said in an interview that he was tracking the proceeds from the sale, which was arranged directly between Johnsonville Sausage and Mr. McKenzie. “I want to make sure Mr. Indiana got his share of that money,” he said. Beginning in 2008, Mr. McKenzie had a contract with Mr. Indiana to produce and sell works based on his sculpture “HOPE.” He said the contract called for him to pay Mr. Indiana $1 million a year, but since the HOPE works never earned $1 million annually, he had Mr. Indiana’s approval to explore other ideas. In the court papers, the lawyer for Mr. McKenzie, Raymond Dowd, said his client had paid Mr. Indiana “approximately $10 million dollars in royalties since 2008.” The court filing included copies of several checks, including one from March 2018 for $500,000 from Mr. McKenzie to Mr. Indiana. “Indiana gets paid for every one of those ideas if they get greenlighted,” Mr. McKenzie said in the interview. Mr. Thomas could not be reached for comment. He and Mr. McKenzie have previously denied that they isolated or mistreated Mr. Indiana. In fact, Mr. McKenzie has argued in court papers that it was Morgan Art Foundation that had not fully paid Mr. Indiana for the Indiana artworks it was making, something the company denies. Mr. McKenzie said in the interview that Mr. Indiana gave them wide leeway to create new works, in part because the artist hoped the money could be used to renovate his home on the island of Vinalhaven and turn it into a museum that honors his artistic legacy. In his will, Mr. Indiana named Mr. Thomas as executive director of a foundation that will have a huge role in stewarding Mr. Indiana’s legacy, including the museum. The energy Mr. Thomas was putting into creating ideas was in the spirit of fulfilling Mr. Indiana’s dream, Mr. McKenzie said. “He was hustling, but on Bob’s behalf,” he said. It is clear in the text messages that the men knew Mr. Indiana was ailing and that the time to produce works under his name was shrinking. 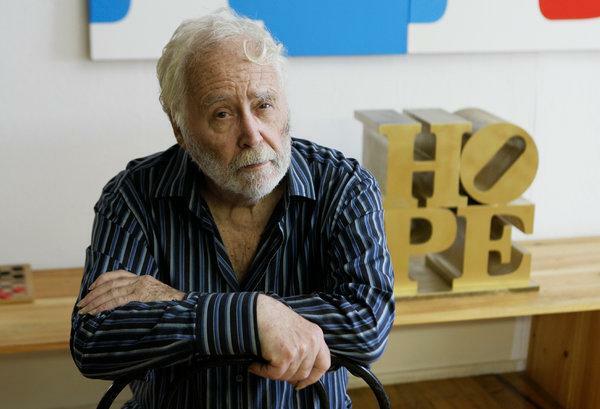 As part of a lawsuit challenging the authenticity of some of Robert Indiana’s late works, a company with rights to sell Indiana’s LOVE sculptures asked to see the text messages between his caretaker and an art publisher, and filed them in court.